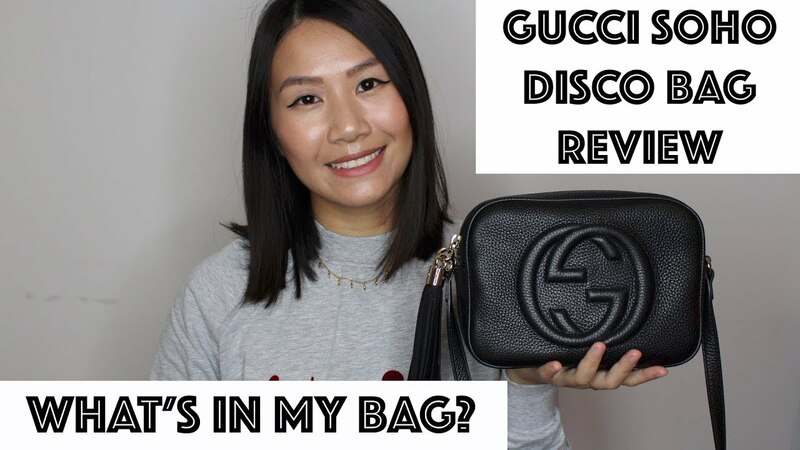 The Gucci Soho Disco bag has been the perfect crossbody bag and despite its size can fit a lot more in than you’d think! I love how it can fit all my essentials: phone, wallet, keys and some beauty bits and could definitely fit much more if I tried. I’ve been mostly using this as an evening/weekend bag as it’s sadly too small for work but I do wish I had even more chances to wear it. However it’s not all bad because with its part time wear I hope to be able to look after it a lot better than I did my Mansur Gavriel saddle bag which unfortunately looks a bit worse for wear after its 2 years use. To find out what’s in my bag and my first impressions of the bag, watch my video below!